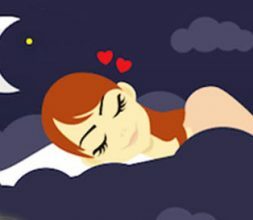 A good night’s sleep ensures a good memory. During sleep, memories or practice skills which are learnt while awake are strenghtened. It also improves attention, focus and alertness of the mind. Performances are always bettered with adequate sleep and rest. Poor sleep relates to poor judgement. 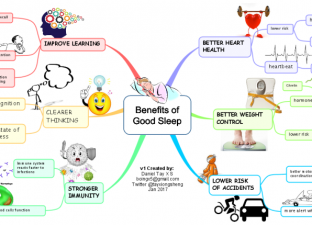 A good sleep improves mood, the brain rests its social and emotional parts while we sleep and also maintains good health, during sleep your body produces hormones that help cellular growth and repair as well as support the immune system to fight infections. 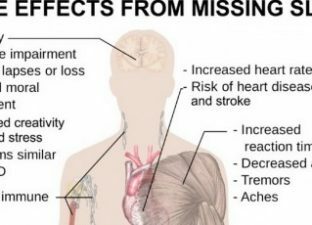 When you don’t get enough sleep you are more likely to develop chronic depression and you are at a higher risk of having high blood pressure and heart disease , and more likely to be overweight. and don’t nap after 3pm and always keep naps under one hour. and greater risk of injury or automobile accidents.